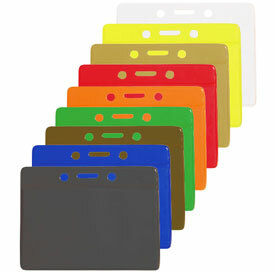 Soft vinyl badge holder with solid colored back and clear front. 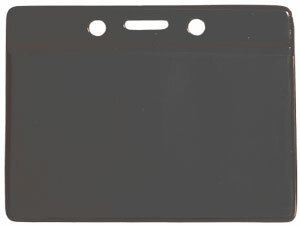 Features one slot hole and two chain holes for attachment to a lanyard or other attachment device. Horizontal format. Colors available are black, royal blue, brown, green, orange, red, white and yellow.